It is Final Four Friday for two baseball teams and one soccer team from Clark County. For four softball teams, it is the opening day of their state tournaments. This is it. The final week of the 2017-18 athletic school year, with the spring sports championships put on by the Washington Interscholastic Activities Association. Here is a bit on all seven squads in the “team” sports. The Skyview Storm will take on Wenatchee in a semifinal at 1 p.m. Friday at GESA Stadium in Pasco. The winner will play in the championship game at 4 p.m. Saturday. True, but for Skyview, this is starting to be the norm. The team won the 2013 state championship and now this is the program’s second consecutive appearance in the final four. A year ago, the Storm lost in the semifinals, then bounced back to win the third-place game. No matter what happens on the field, the coach also wanted to give a shout-out to his players for their abilities in class. 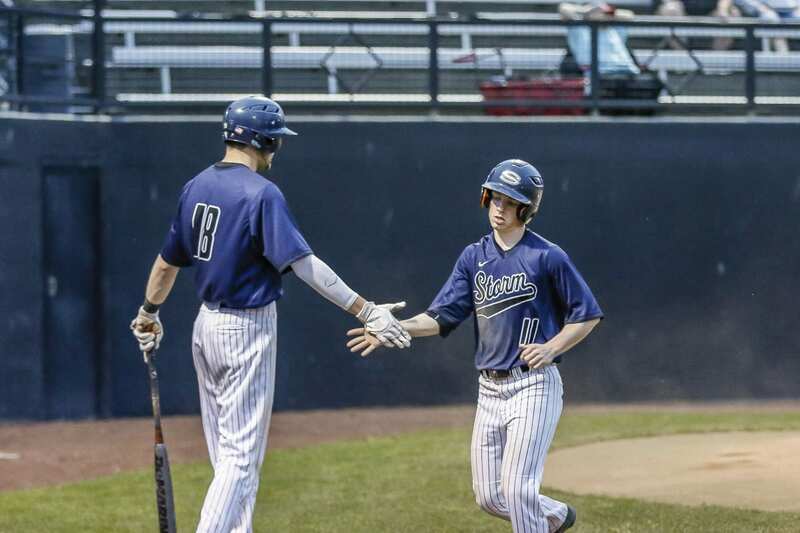 Skyview was named the 4A academic state champion for baseball, with a team grade-point average of 3.71. “These young men have taken the phrase ‘student-athlete’ to an entire new level and have a chance to do something truly historic,” Johnson said. It is rare for a team to win a state championship on the field and in the classroom in the same season. The King’s Way Christian Knights are back in the final four a year after winning the state championship. This team did lose several key players from that 2017 run, but this team still has two aces. 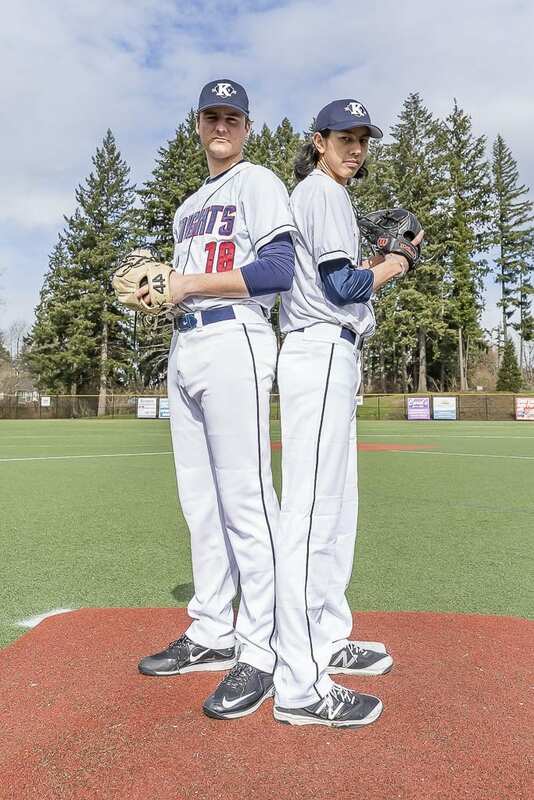 A week ago, Damon Casetta-Stubbs and Sam Lauderdale threw back-to-back shutouts in the first and second round at state to advance to the semifinals. The Knights will face Cashmere at 4 p.m. Friday at County Stadium in Yakima. The championship game is set for 7 p.m. Saturday. 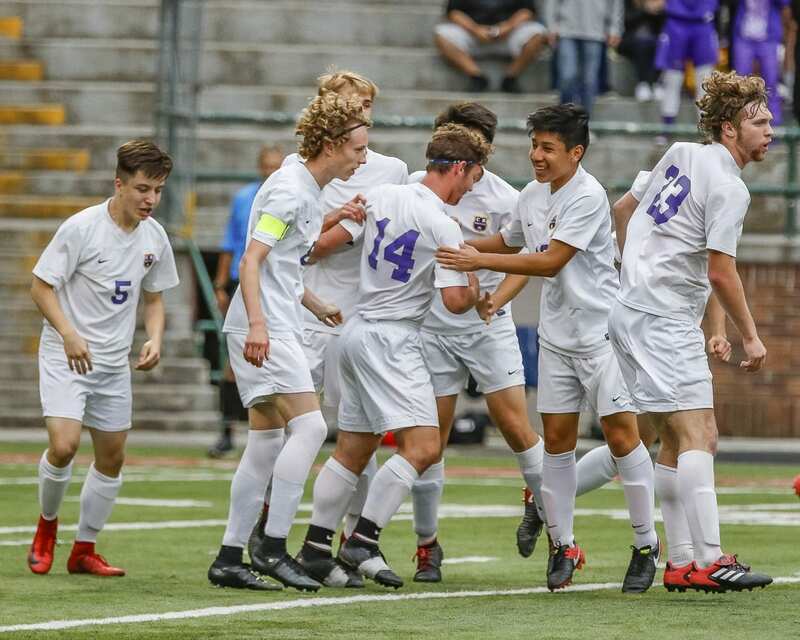 “Obviously I was not part of last year’s success, as well as many of our players, so to be able to take a new group to experience the Final Four and all the excitement of a state championship series is incredible,” said first-year head coach Gregg Swenson. “When I took the job, I knew we would have a good team but until you actually play games you never know how your boys will respond,” he said. The goal, the coach said, is the same: to play the game the right way. If the Knights fulfill that promise, they will be satisfied with the result. There could be one point of view that the rest is just icing on the cake for the Columbia River Chieftains. This is, after all, the best the boys soccer program has ever done, just getting to the semifinals. Then there is the point of view of the Chieftains themselves. They are now 21-0. And while reaching the final four is a worthy accomplishment, they keep telling themselves that they are not done yet. The goal now is to get to 23-0. First time in the final four is one thing, but a first championship is so much more. Columbia River has to wait until 8 p.m. Friday for its semifinal match. The Chieftains will take on Franklin Pierce at Sunset Chev Stadium in Sumner. The 2A championship match is 5 p.m. Saturday. The Camas Papermakers got to the state tournament with a two-out, three-run rally over another Class 4A Greater St. Helens League team. Yes, that was a memorable way to reach the state’s sweet 16. Payton Bates hit a solo home run to break a 1-1 tie with Skyview in an elimination game in the bi-district tournament last weekend. Two batters later, Kennedy Ferguson hit a two-run homer, and the Papermakers were on their way. The Papermakers got the job done but did not necessarily play their best in the tournament, going 3-2 to finish in sixth place. The great thing about state, though, is new life. Does not matter how a team gets to the final weekend; just matters that a team gets there. Camas will face Moses Lake at 10 a.m. Friday in the opener at state, held at the Dwight Merkel Sports Complex in Spokane. The winner plays in the quarterfinals at 4 p.m. Semifinals and the championship game are scheduled for Saturday. Camas senior softball pitcher Kennedy Ferguson is the 4A GSHL pitcher of the year who is hoping to lead the Papermakers to the state tournament. The Prairie Falcons are peaking at the perfect time, winning three in a row in the bi-district tournament to make it state despite a pedestrian 10-9 record in the regular season. Prairie will play Marysville-Pilchuck at noon Friday the Regional Athletic Complex in Lacey. The quarterfinals are 4 p.m. with semifinals and finals set for Saturday. Prairie softball overcomes its struggles in the regular season to make it to state tournament. The two best teams in the 2A Greater St. Helens League all season — Ridgefield and Woodland — made it to state with solid performances at the district tournament. Ridgefield went two-and-out from the tournament last season. The Spudders will take on Olympic at noon Friday in the opener. The tournament is played at Carlon Park in Selah. This is the first back-to-back appearance at state for the program since the Spudders went six years in a row from 1999-2004. Woodland went to state three years in a row earlier this decade. Now the Beavers are back. “Our goal this year was to make it to state, so it feels good to accomplish a goal that we set three months ago,” Woodland coach Tom Christensen said. The Beavers, who are 21-3, won six games last season. Woodland will take on Cheney at 10 a.m. Friday in Selah. Ridgefield and Woodland shared the 2A GSHL title, both going 11-1 in league play. A list of the 181 individual sport athletes from Clark County who have qualified for state competition this week.